Pridmore's Candler Visit a Check Off "Bucket List"
Photo right: The Rev. Eric Pridmore of the Mississippi Conference during chapel service at Candler. A dream comes true for Rev. Eric Pridmore of the Mississippi Conference. On September 29, 2016, he delivered a sermon in the distinguished Cannon Chapel located at Emory University where he is an alumnus of Candler School of Theology at Emory. 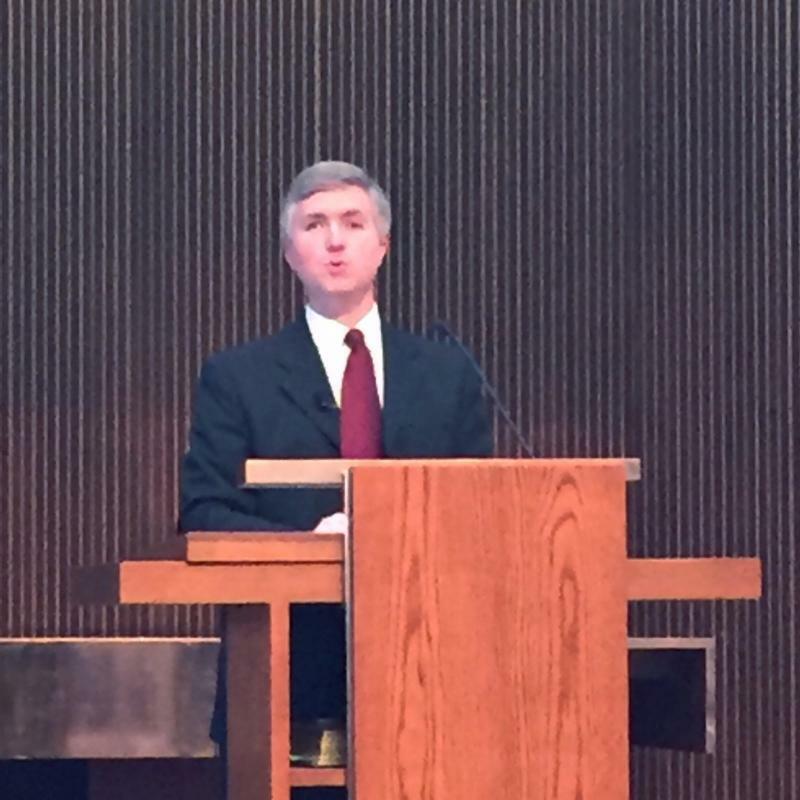 "As a preacher, preaching at Cannon Chapel was certainly on my bucket list. Amazing people have spoken in that space, so to speak was an honor. I haven't been that nervous preaching since I was in preaching class at Candler, 20 odd years ago," said Pridmore. Pridmore credits a couple of Candler students for the opportunity. They asked him to participate in the Theology and Disabilities Summit. Pridmore, who is blind, titled his message -- Being Truly Human. "The point of my sermon was that being truly human encompasses disability, human difference of all kinds and the complexity of life and that life in Christ is not found in spite of those things, but in recognition of those things. Christ wants all that we have to offer including our limitations," he explained. Pridmore serves as co-chair of the United Methodist Association of Ministers with Disabilities. He is also on the Mississippi Conference Disability Ministry Committee and the pastor at First Poplarville United Methodist Church in Poplarville, Mississippi. Click here to watch the video of Pridmore's sermon.